Strawberry season’s grand finale yielded two delights: ice cream and cake. While berries continue to be available, the major push around here is over by the fourth of July. The last berries have been fragile and prone to mold because of rain, and therefore we used them as quickly as possible when they got home. Strawberries, like many fruits, are constituted largely of water. 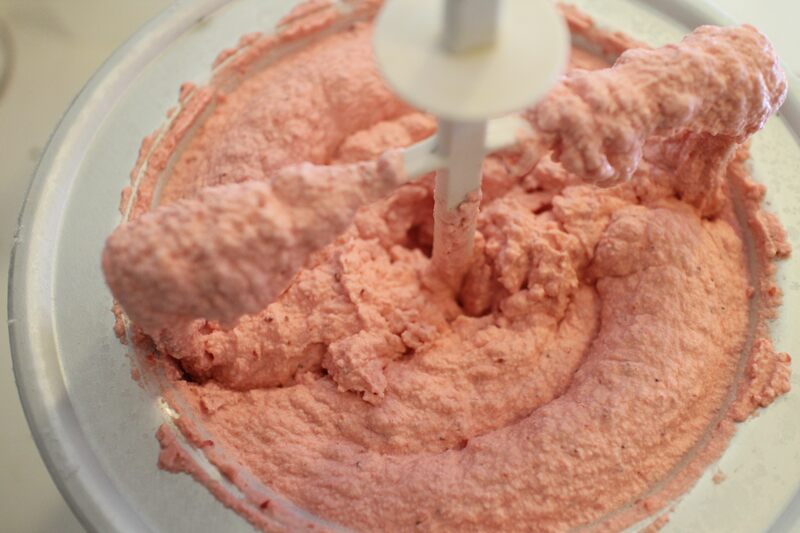 When you puree fresh fruit to incorporate in ice cream, they freeze into chunks of ice. Of course, for fruit ice creams such as peach or blueberry, it’s typical to poach the fruit first. 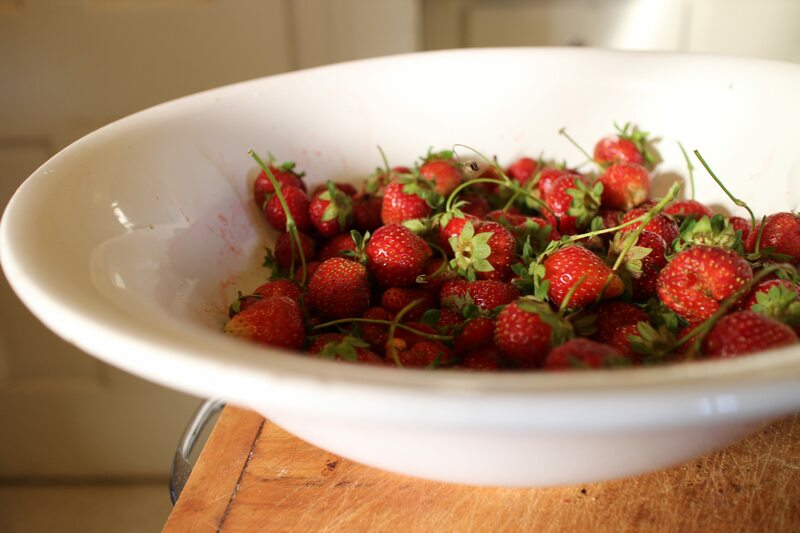 For strawberries, I macerate them in sugar for an hour, which draws out the liquid and softens the berries. Adding a tablespoonful of alcohol – vodka, or as I did, kirschwasser – helps to allay the iciness of the end product (so does eating the ice cream soon after making it, which isn’t a problem in our household). Here, I made the ice cream with half heavy cream and half sour cream, a tip from David Lebovitz writing in The Perfect Scoop. I wanted to avoid the unctuousness of a custard-based ice cream since I thought the additional eggs would be too heavy for strawberries. Sour cream did the trick for a mellow but slightly tangy flavor that perfectly complemented the gorgeous pink clouds of just-churned ice cream. 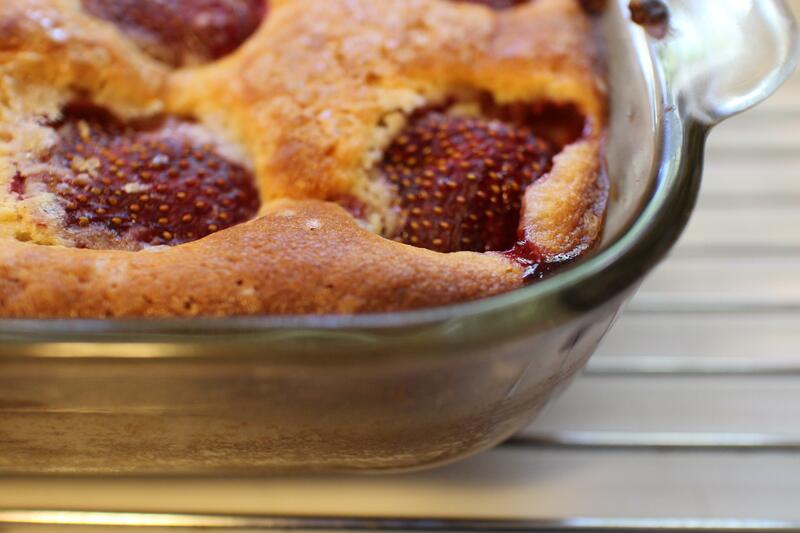 The strawberry cake was a version of classic blueberry boy bait cake, made with strawberries. Mix the prepared strawberries with sugar and kirschwasser (if using), stir to dissolve the sugar and let sit at room temperature for an hour, stirring again to make sure the sugar is fully dissolved. 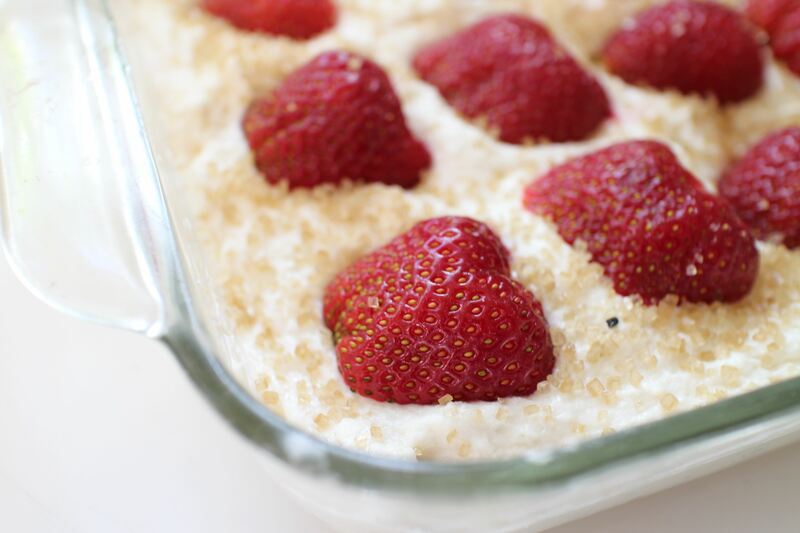 Pulse the strawberry mixture, heavy cream and sour cream in a food processor until almost smooth, but still slightly chunky. Chill, covered, in the refrigerator for a few hours and then process the ice cream in an ice cream maker according to the manufacturer’s directions.